In a sandy tract of grassland where the Zumbro River empties into the Mississippi, Jeff LeClere wades in waist-high grass. The scientist's visit to Weaver Dunes, is the latest foray to the area where researchers have long studied turtles, falcons, bald eagles and other wildlife populations. But LeClere isn't looking up. Instead, he has his eyes open for reptiles that slither in the grass. 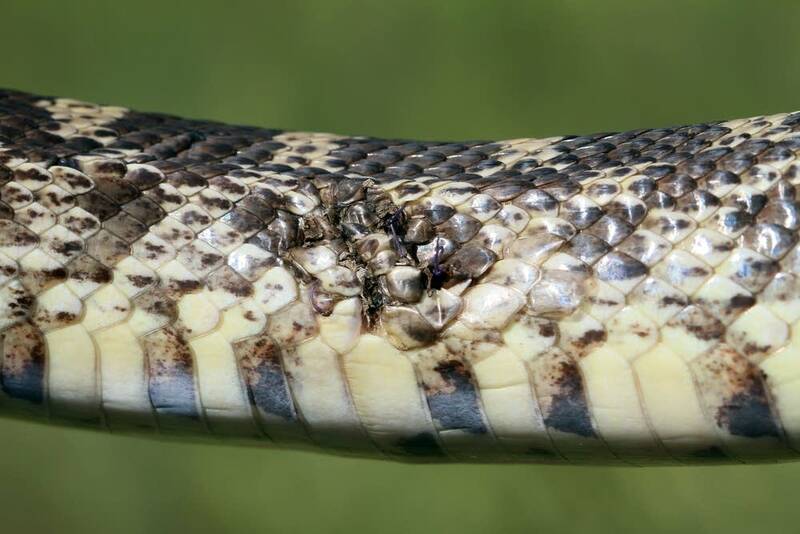 A herpetologist for the Minnesota Biological Survey, LeClere is leading its effort to catalog Minnesota's snake species and estimate their population. 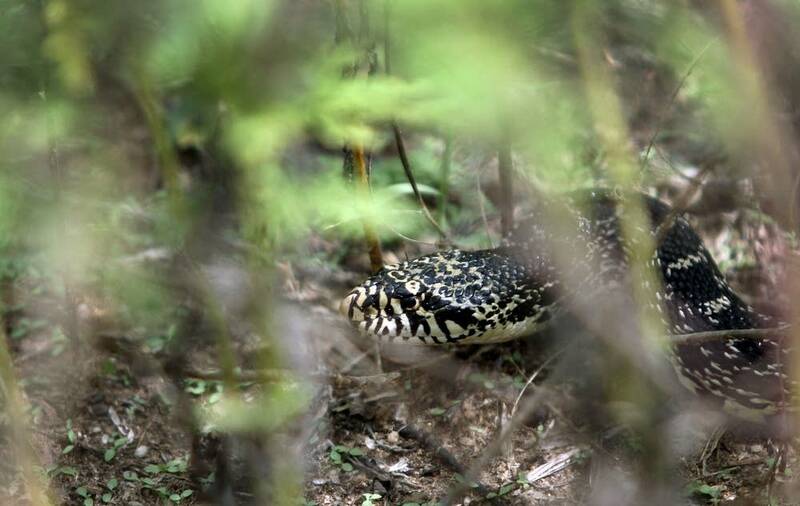 That mission brought LeClere to the dunes in search of Porchy, a bullsnake, which is one of a half dozen snake species he is tracking in southeastern Minnesota. The region has the most diverse snake population in the state, with 15 of the state's 17 snake species. Minnesota is home to two venomous snakes, both rattlesnakes. Bullsnakes are on the decline but it's hard to know exactly how much, LeClere said, because of their stealthy nature. With that in mind, researchers have surgically implanted transmitters into snakes to track them. 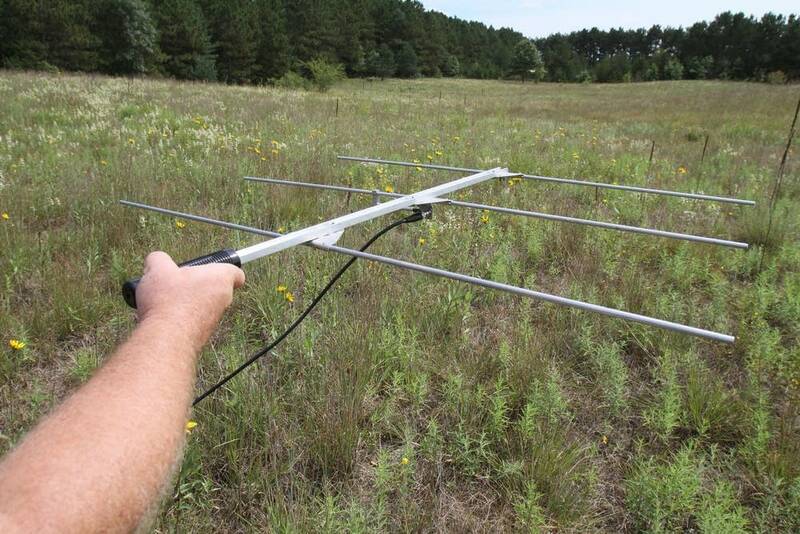 So when LeClere came to the river bank earlier this week, he pulled out a three-pronged antenna, connected it to a radio receiver and pointed it different directions. As the receiver searched for a frequency emitted by a transmitter, he listened for an electronic beep. "It will let me know exactly where the snake is, which direction I should be going," LeClere said. "So, for instance, back where we were, over in this direction, you still get the signal, it's pretty faint. If I move the antenna in this direction, the sound really picks up, that means she's in this direction." Resarchers nicknamed the bullsnake Porchy because she likes to hang out near the porch of a nearby trailer home. Because she was on the move, LeClere followed her path through an abandoned farm field filled with invasive grass and plants over sandy and uneven soil. 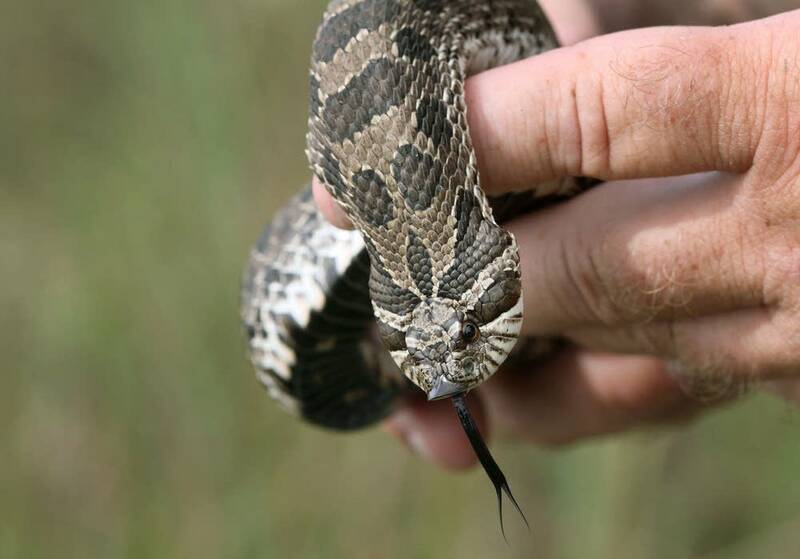 If snakes are in decline, he said, Minnesota's changing landscape may account for that. 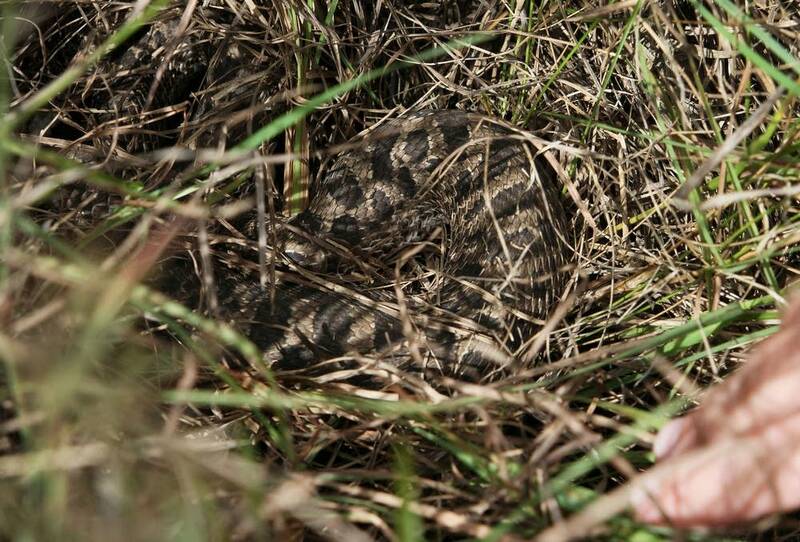 "They are a snake that needs large tracks of open prairie, which basically doesn't exist anymore because all that's left of our prairie are small, fragmented areas," said LeClere, who has been collecting data for a year. "So when you get to a place like where we're studying these snakes and a couple of other areas of the state that still have a decent amount of prairie left, those are worthy of studying." The snakes are worthy of study, LeClere said, because their disappearance from the environment can have wider ecological consequences. 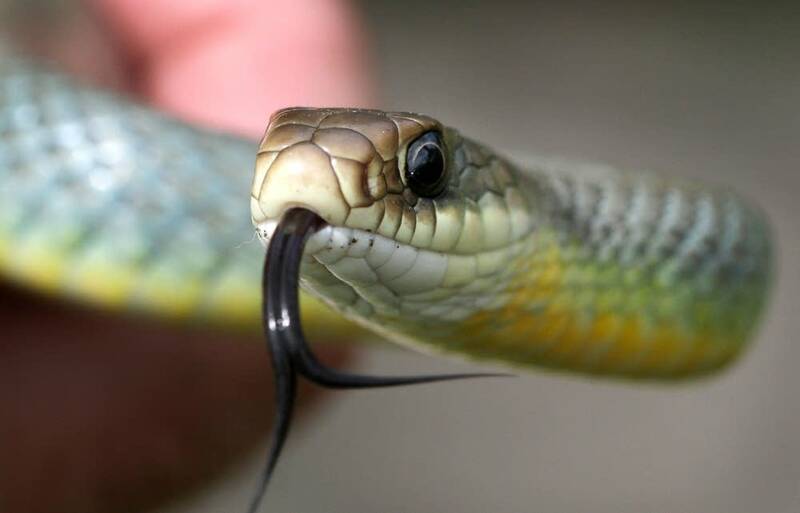 Snakes are often considered top predators and consume large numbers of insects and small mammals like rats and mice. But they tend to have a bad reputation and a lot of people are scared of them, often killing them. "Another misconception is that snakes will chase you. 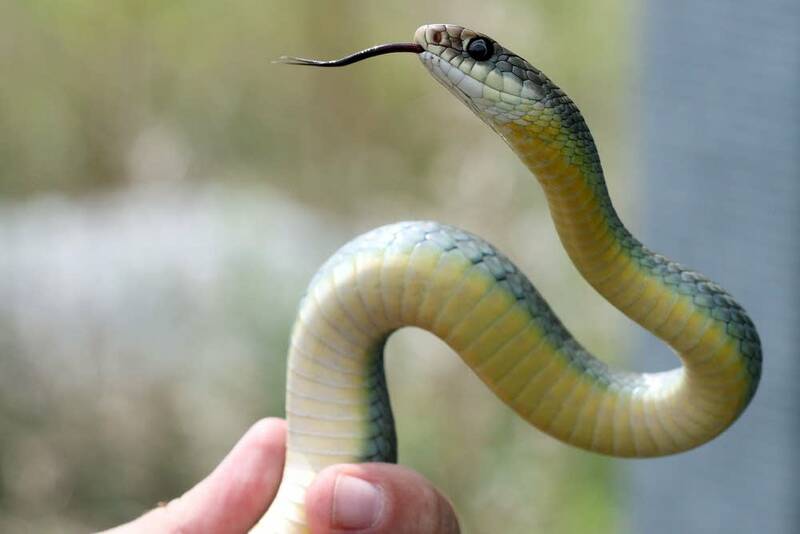 And I've heard stories where people swear that snakes will chase them down," LeClere said. "And believe me, I've been chasing snakes all of my life and I've never had one chase me. So we've had a few people who just vehemently do not like snakes and probably will never change their minds. But for the most part, people have been very positive." After following the sound of Porchy's transmitter for nearly 20 minutes, the beep grew stronger. LeClere spotted her near a gopher mound on the ground. She was clearly agitated by the presence of human invaders. Yellow with black and brown blotches, about five feet long and as thick as a tube of toilet paper, Porchy weighs about two pounds. As LeClere bent to grab her, he noticed the snake's glistening skin. "She shed recently," he said. "She's got good weight. She's nice and thick, means she's been eating well. This is good news because it means she's behaving normally." After a few minutes, LeClere put Porchy back on the ground and the snake disappeared into the prairie. His job done, he pulled a clipboard from his backpack and began noting his observations on the snake, its behavior and environment. 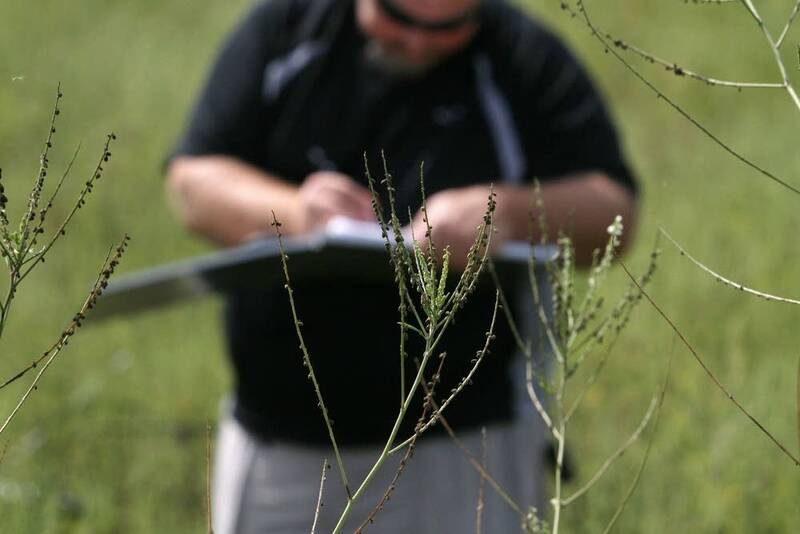 When the project ends this fall, he hopes to provide reliable information to wildlife manager and landowners about where snakes like Porchy feed, where they nest, and how they move to help preserve an important part of the state's ecosystem.